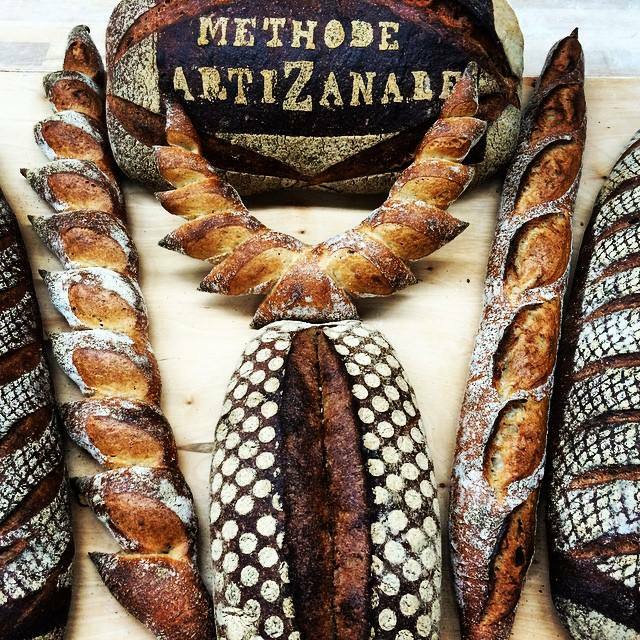 Focus on single varietal breads with master baker Mike Zakowski. We will use 100% freshly milled 100’s of the ancient grains and other varieties in pan loaf and free form. The varieties will be einkorn, emmer, khorasan, spelt, rye, yecora,among others. See how to properly hydrate these grains for maximum moisture, texture, and flavor. Class will be a combination of demo and hands on. MIKE ZAKOWSKI is a graduate of the Culinary Arts program at Kendall College in Chicago, Illinois. When he owned Kraftsmen Baking in Houston, Texas, he was named Best Baker in Houston and won the Best Bread award for his pain biologique during the bakery’s first year of operation. He was the Operations Manager at Artisan Bakers in Sonoma, California for 5 years and currently owns his own bakery, The Bejkr, and markets his creations at local farmers markets in Sonoma County, CA. Mike is a member of Bread Bakers Guild Team USA and competed at the 2010 Louis Lesaffre Cup and the 2012 Coupe du Monde de la Boulangerie in the Baguette & Specialty Breads category, where he and his teammates brought home the silver medal. He was then selected to compete in the Masters de la Boulangerie 2014 representing the USA as 1 of 6 competitors.